When you look in the mirror, what is your first thought: “my eyes are beautiful” or “where did those wrinkles come from”? Do you admire the contours of your body or frown because you do not look the way you think you should? Listening to women I hear frequent complaints about their bodies and rarely do I hear expressions of love and gratitude. Our bodies are truly amazing. Science is proving that our thoughts and beliefs create our world. Words carry energy and we can all think of times where our feelings were hurt by uncaring words. We know how that feels at a very core level, yet we say harmful, hurtful words about bodies far too frequently. How do you think your body and spirit would respond to loving words of gratitude and appreciation? It will bask and glow in the warm adulation just as your heart does when those words are spoken directly to you. 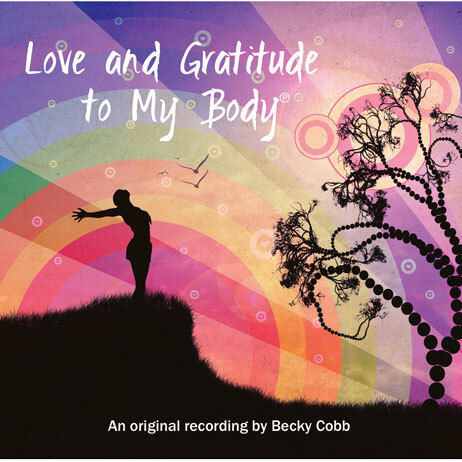 Love and Gratitude to My Body was written to help your body heal and maintain optimum health. Of course your body still needs exercise, rest and good food, but it is easier to care for a prized possession, a fragile orchid, a sacred vessel. Repetitive listening to this guided meditation may increase your motivation to take better care of your body. Repetitive listening will create new neural pathways in your brain that reinforce the experience of your body feeling loved, feeling appreciated, feeling healthy and vibrant. While you can listen any time of the day, listening at bed time is a great way to unwind and relax. Even if you fall asleep, your subconscious mind and your body will still hear and absorb the message. If you want your body to know that is loved and appreciated, this twenty minute guided mediation will help you accomplish that and all you have to do is listen. And This CD Will Be Available Soon! Come listen to this guided mediation as it celebrates and expresses gratitude for every part of your body at the CD Release Party! Be one of the first to get it at the party. After that it will be available at several locations and on this website. Watch for more details coming soon. Your body will thank you!